(Left) Rising Star Awardee Aisha Yaqoob. 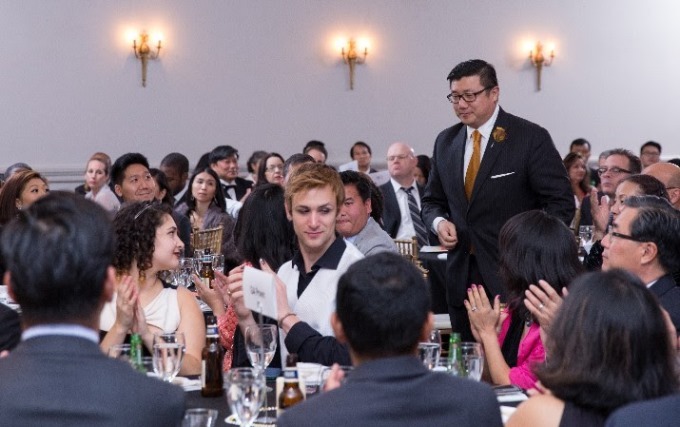 Asian Americans Advancing Justice – Atlanta (AAAJ)’s 6th annual Community Champions Gala was held on October 22, 2016 at Spring Hall, with over 300 guests. Chaired by Sonjui Kumar, it recognizes local superheroes and thanks them for their hard work and dedication to furthering the civil, social, and economic rights of Asian Americans, Native Hawaiians, and Pacific Islanders (AAPIs) in Georgia. (Left) Lifetime Achievement Awardee Judge Alvin T. Wong. This year’s Lifetime Achievement Awardees were Judge Alvin T. Wong and Representative B.J. Pak. Judge Wong is the first Asian Pacific American to run for public office in metropolitan Atlanta and the first to be elected judge in the Southeast. In 1992, Judge Wong was one of the founding members of the Georgia Asian Pacific American Bar Association (GAPABA). Representative Pak is a former federal prosecutor who is the first American of Korean descent to have been elected into the Georgia General Assembly in November 2010. For years, he has championed the rights of Asian immigrants and refugees under the Gold Dome. Lifetime Achievement Awardee B. J. Pak of the Georgia House of Representatives. Rising Star Awardee Aisha Yaqoob, Founder and Executive Director of the Georgia Muslim Voter Project, speaking at the Community Champions Gala. 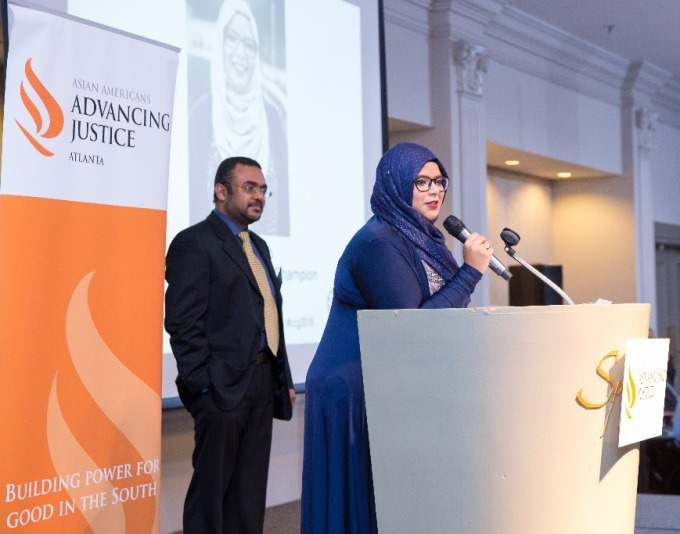 This year’s Rising Star Awardee was Aisha Yaqoob, Founder and Executive Director of the Georgia Muslim Voter Project, a new, unprecedented initiative to increase voter registration and turnout in the Muslim community in Georgia. Keynote Speaker for the evening was Derreck Kayongo, who has been Chief Executive Officer for the National Center for Civil and Human Rights since 2015. He has traveled the world as a TED TALK speaker since 2014, speaking for the voiceless affected by civil wars. “We are super excited to bring together all segments of our communities to celebrate the accomplishments of our Community Champions and to support the great work that our organization does,” says Stephanie Cho, Executive Director. 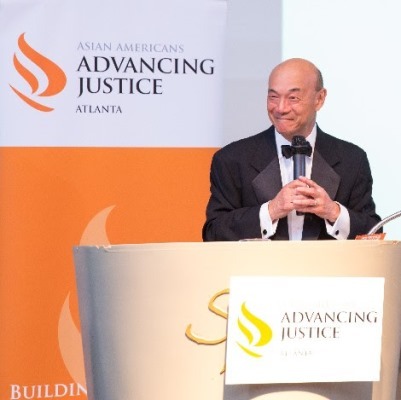 AAAJ – Atlanta works to engage, educate, and empower under-represented AAPIs through legal services, civic engagement, policy advocacy, and leadership development. 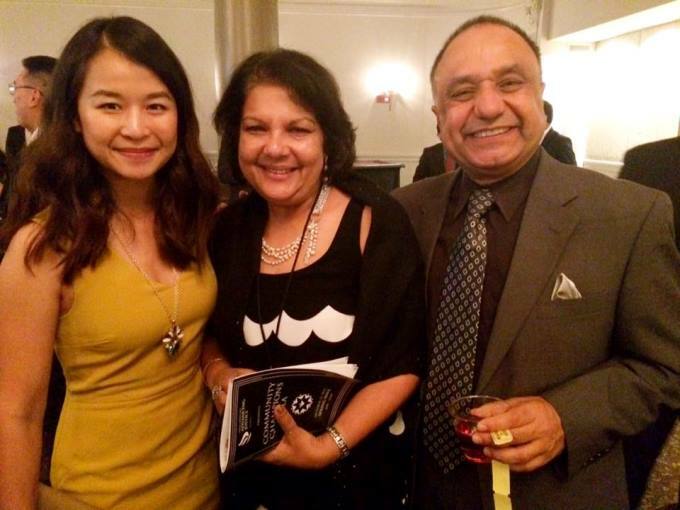 Sonjui Kumar (center), Chair of AAAJ - Atlanta, at the Community Champions Gala 2016. Thanks to our Community Champion Awardees, sponsors, volunteers, and everyone who came out to support Advancing Justice - Atlanta.